Dogs have endocannabinoid systems that are similar to ours, which means they can reap CBD health and wellness benefits similar to those enjoyed by humans. Just as hemp-derived CBD products offer potential benefits to humans, they can help pets, too. CBD (Cannabidiol) has been shown to have many potential benefits for humans, relieving symptoms associated with a range of medical conditions, from chronic pain to neurological disorders like epilepsy, to depression and anxiety, and more. But CBD isn’t just for humans. 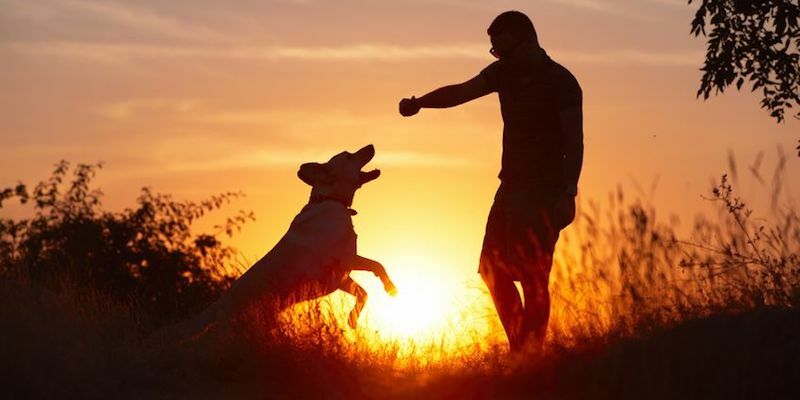 A growing body of research has produced evidence that CBD can also help pets (cats and dogs in particular) reap similar health benefits. Cats and dogs — dogs especially — have endocannabinoid systems (ECS) that are similar to ours. The two common types of receptors in the ECS, called CB1 and CB2 receptors, are found in the central nervous system and immune system cells. Both the CB1 and CB2 receptors exist in canines, and CB1 is also present in felines. The ECS is a network of receptors and cellular activators in the body that regulate the functions of many physiological processes. Those include stress, mood, pain, inflammation, and temperature, and involve both the brain and the immune system. CBD binds to, and activates, several types of receptors, such as serotonin, adenosine, and vanilloid, and boosts dopamine levels. Both animal and human studies have shown that using CBD could bring relief to sufferers of a variety of medical conditions, from anxiety to autoimmune diseases. Its powerful anti-inflammatory, analgesic, antibacterial, and antioxidant properties go hand in hand, helping protect the nervous and immune systems. This applies to dogs and cats, not just humans. Here are some potential applications of CBD for pets, backed by research. CBD’s proven anti-inflammatory properties are linked to its positive effect on the ECS, encouraging it to produce natural cannabinoids. This means that it can help fight a wide variety of conditions linked to inflammation, including hypertension, depression, arthritis, diabetes, and more. Autoimmune disease-associated inflammation (by decreasing production and release of inflammatory cytokines that can cause autoimmune diseases, allergies, and hypersensitivities). CBD, at least one study has shown, can also suppress something called Th17 dominance. Th17 is an inflammatory autoimmune phenotype, which is a major cause of autoimmune diseases such as multiple sclerosis. CBD can potentially help dogs suffering from nerve- and spine-related conditions like degenerative myelopathy. It’s been shown to help human patients with amyotrophic lateral sclerosis and Alzheimer’s. Studies show CBD to be effectively used for pain management, including relieving chronic pain and pain related to nerve damage. A recent clinical study completed at Cornell University suggested that taking CBD oil twice a day helped increase “comfort and activity” in dogs with osteoarthritis. Anxiety is common in both cats and dogs. Because CBD can boost dopamine levels, it’s been linked to improving mood and helping reduce anxiety. This could be especially relevant to dogs that suffer from separation anxiety and experience stress when exposed to loud noises like thunderstorms and fireworks, for example. One study looked at the behavioral and cardiovascular responses induced by stress and anxiety in rats, finding reduced heart rate and blood pressure with CBD use. Owners of dogs that suffer from seizures might like to know that CBD has been proven to work well for treatment-resistant epilepsy, demonstrating anticonvulsant and antiepileptic qualities. In one study, seven out of the eight epileptics receiving CBD showed improvement. Also, as JAVMA News has reported, two clinical studies out of Colorado State University’s College of Veterinary Medicine & Biomedical Sciences have also shown some promising results after looking at the effect of CBD on dogs with osteoarthritis or epilepsy. Whether CBD usage can truly fight cancer is yet to be proven, but some studies show interesting results. They hint at CBD’s anti-tumor properties and its potential in halting the growth of cancer cells, and even killing tumor cells. While more research is certainly needed in this area, some animal studies have indicated that CBD can help relieve some cancer symptoms and side effects of cancer treatment. This includes relieving pain related to chemotherapy, as well as vomiting and nausea (and possibly leading to an increase in appetite as a result). CBD is non-psychoactive (unlike THC). There are no proven adverse side effects associated with CBD consumption. CBD could be a safer and healthier alternative to harmful drugs and narcotic substances, like opiates. Your pet is not likely to build a tolerance to its effects, so dosage increases are not typically necessary. Your pet won’t overdose on CBD products, though you should, of course, stick to the suggested dose. At Simply CBD, we carry only hemp-derived CBD products that are lab-tested to ensure they are 100% THC-free. We’re more than happy to show you how to use any of our products, and discuss the dosage that might work best for your pet. Stop by any of our Simply CBD shops in New Orleans to learn more about CBD and to check out our huge selection of hemp-derived CBD products.